and impacts on the experience of schooling for many young people, including those least advantaged. 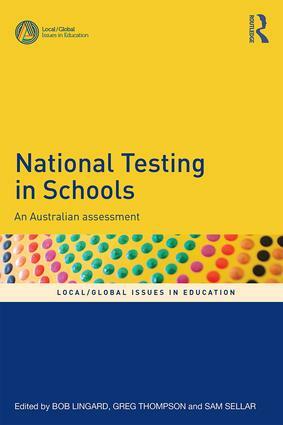 Using Australia as the case site for global concerns regarding national testing, this book will be an invaluable companion for education researchers, teacher educators, teacher education students and teachers globally. Students "at risk" and NAPLAN: the "collateral damage"
Greg Thompson is a Senior Lecturer in the School of Education at Murdoch University, Australia.